Friday night munching and who doesn’t like some popcorn shrimp?! Great for TV stand dinner and movie watching. This meal has the shrimp bake in the oven and sometimes you’re not a baked shrimp kind of person. 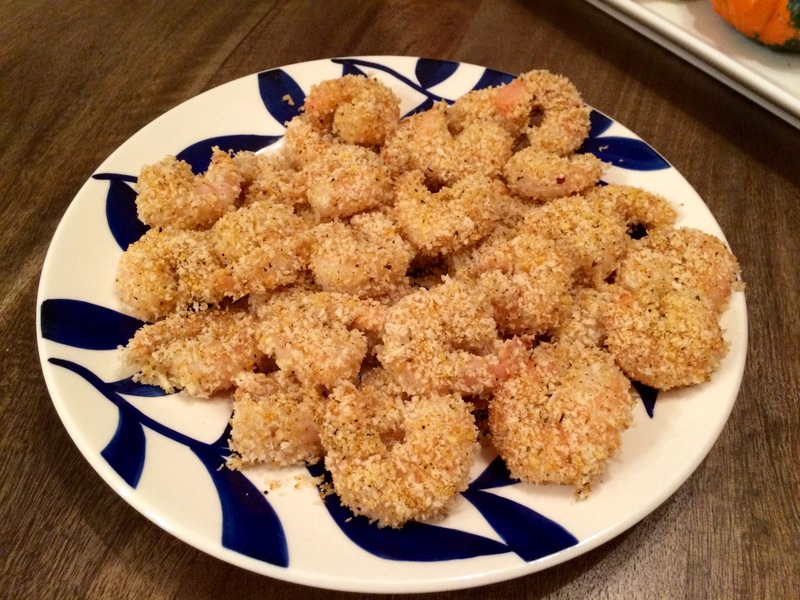 However, if you do like baked shrimp, this has the right amount of zing from Cajun spices and crunch from the Panko crumbs. Make your own dipping sauce to go along with it and you have a lovely crunchy meal or appetizer for a party. Dips can range from spicy mayo, to hoisin sauce, to a sweet chili heat. Up to you! You could also switch out the Cajun spices to Italian should you wish. This recipe can be found on http://www.givemesomeoven.com. 1. Preheat oven to 350 degrees F. Line a large baking sheet with parchment paper or aluminum foil. 2. 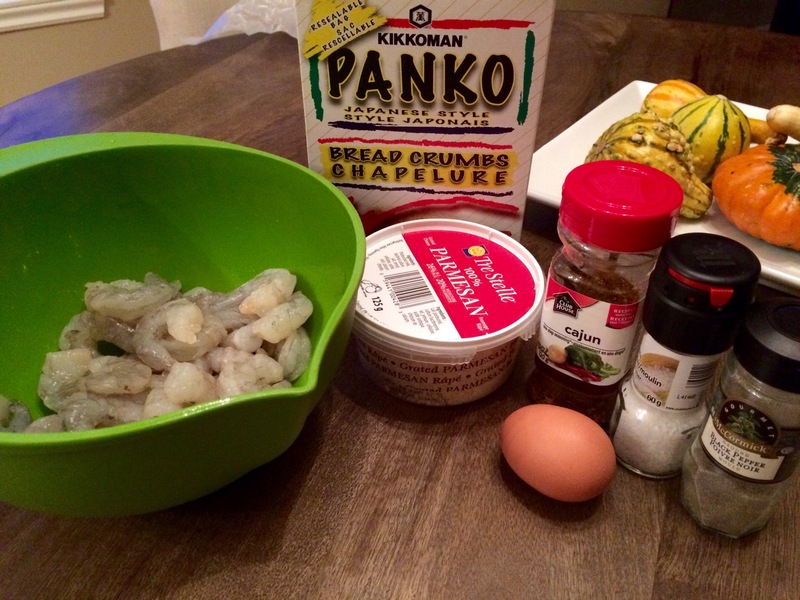 In a medium bowl, whisk together Panko, parmesan, old bay, salt and pepper until combined. 3. Set up your dipping station with bowls of (1) shrimp (2) egg whites and (3) breading. 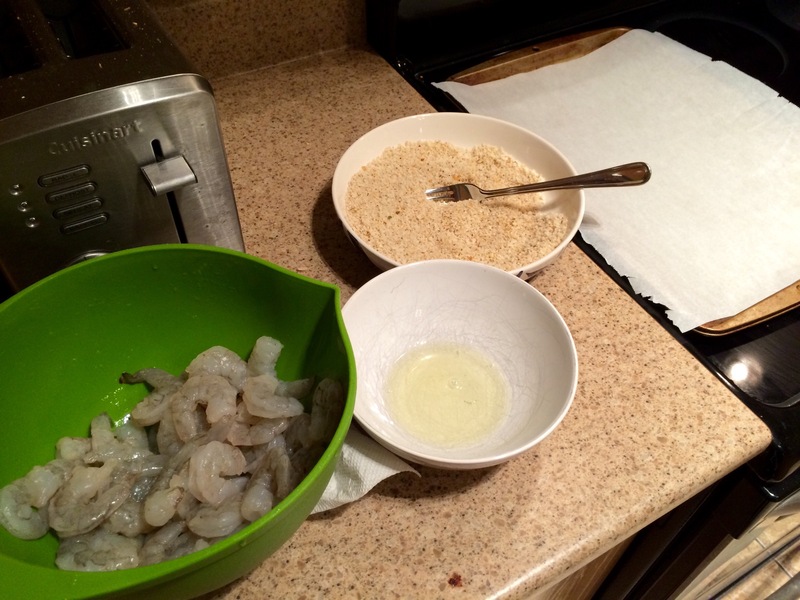 Working one at a time, dip a piece of shrimp in the egg whites until it is covered. Then transfer to the breadcrumb mixture and toss until combined. Gently place on the prepared baking sheet. Repeat with remaining shrimp. 5. 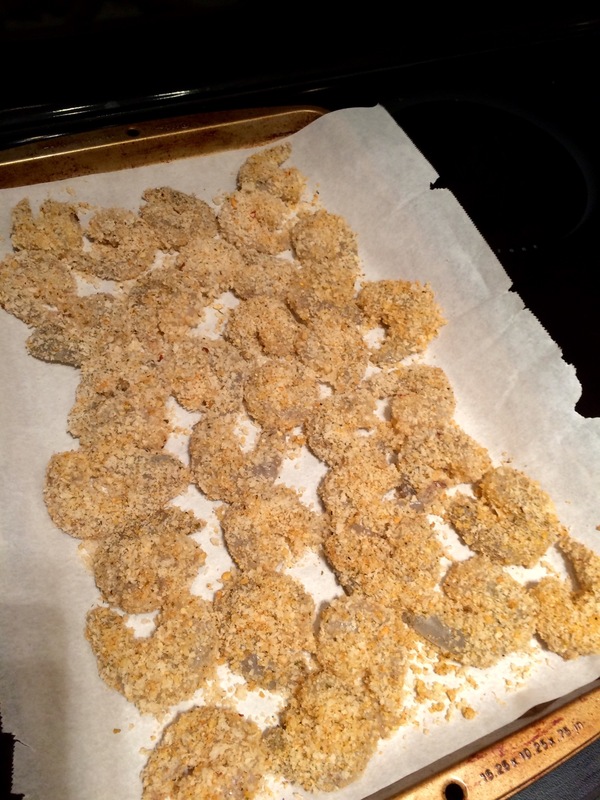 Bake for 3 minutes, then flip shrimp and bake for another 3 minutes or until cooked through and no longer translucent. 6. Serve warm with garnishes and cocktail sauces.